Culinary Trails by Taj is an initiative to promote the marquee restaurants from the group by organizing pop-ups in a different city. This helps food lovers in other cities to become familiar with the special cuisine dished out by the restaurant. It also helps in promotion of the travelling restaurant in cities other than home. 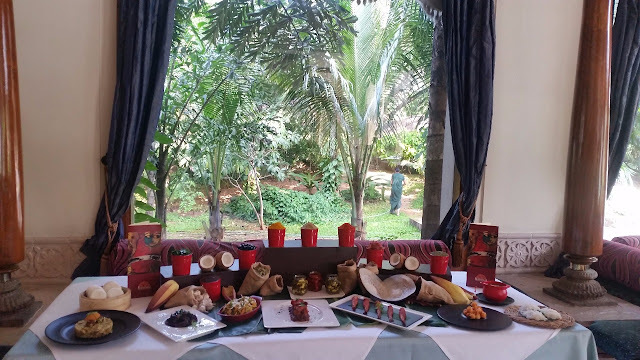 Recently Varq from Delhi held a very successful pop-up at Taj Krishna (Read about it here). Karavalli is the second one that is now being organized only for four days ending on Sunday. A team of six members led by the man behind Karavalli, Chef Naren Thimmaiah, is here in Hyderabad to make sure that the festival is a success. 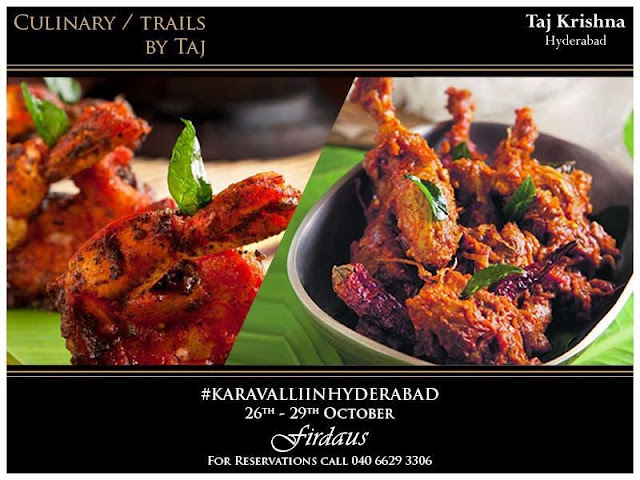 For these four days, Firdaus at Taj Krishna will only offer food items from the menu of Karavalli. Three set meals complete with starters, main courses and desserts are being offered; this will be of great help for people who are not conversant with the cuisine and look for a total experience. 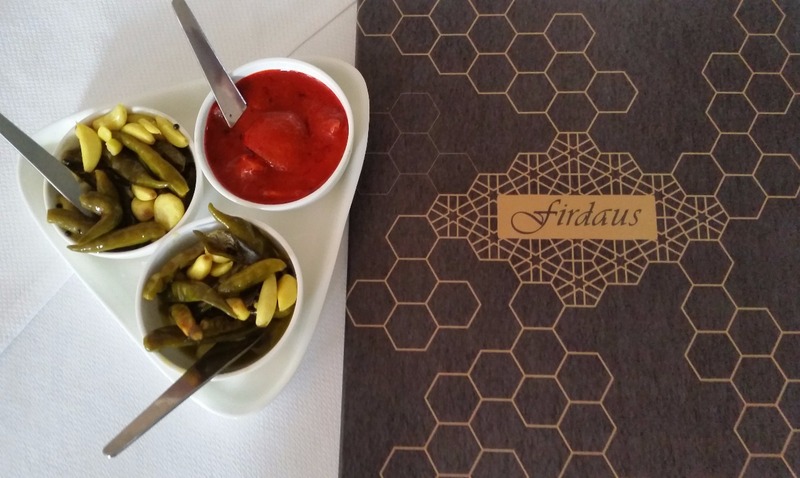 For people, who are familiar with the original restaurant, a-la-carte dishes can be ordered too. A bloggers table was organized on the first day of the pop-up. Select items from the menu were presented for a set lunch. Chef Naren spoke about the developments in the restaurant since inception, stressing on the extent they go to maintain the quality of ingredients. In this connection, he told us that even the coconuts are sourced only from a specific coastal region of Karnataka due to its quality. In fact, the team has carried few hundreds of this coconut for the Hyderabad promotion. 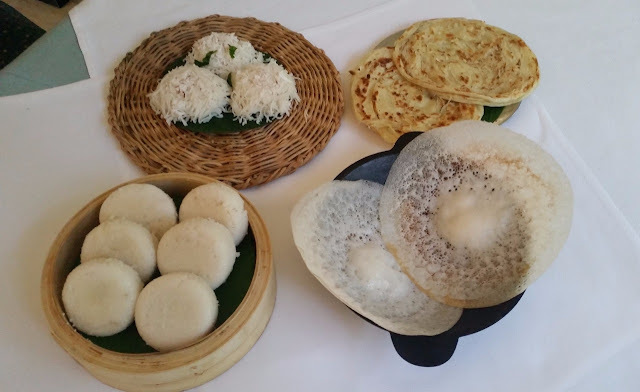 Karavalli does significant research and elaborate trials to make sure each dish in their menu is authentic. 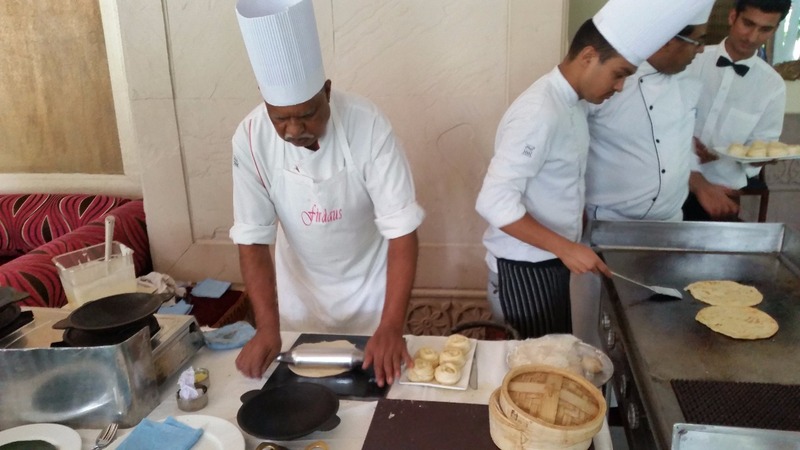 Consistency has a special importance in this restaurant. The festival menu has a large number of items, striving to present the complete food experience The West Coast Seafood Grill is very well-known for its delicacies using authentic recipes sourced from families. 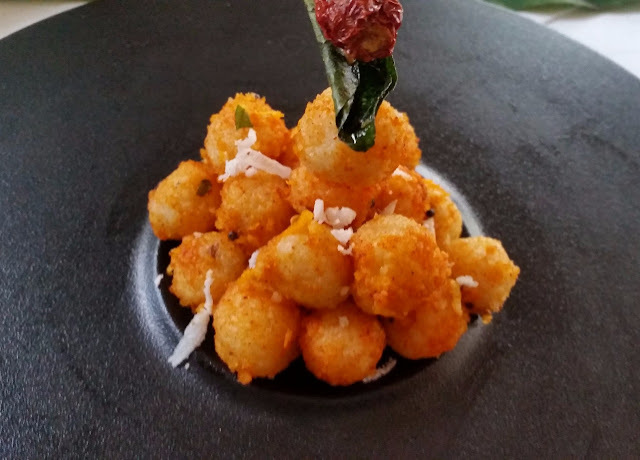 But, we started with Koli Barthad, a dish from Coorg, very close to the Chef’s heart as he belongs to that region. Small pieces of boneless chicken pieces were prepared in roasted spice and the local vinegar from the district. This was surely one of the best dishes of the day. The seafood dishes followed. 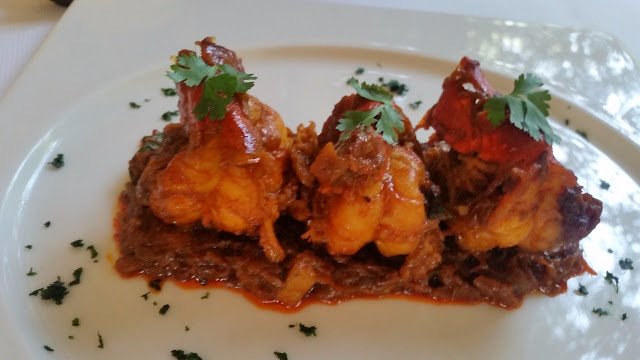 Tiger Prawn Roast is one of the most well-known dishes of the restaurant. 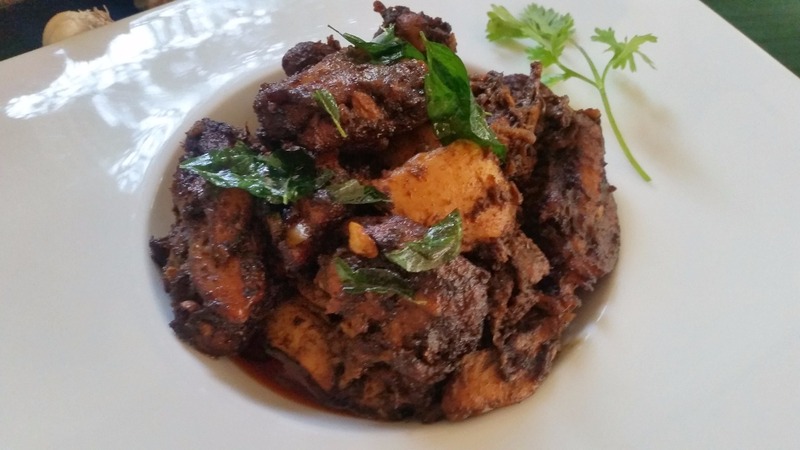 A preparation from Kerala, the highlight of this dish was the simple flavour of the masala. Crab Milagu Fry was a complete delight, I loved the pepper based masala on the crab shells and gleefully used my hands to devour the dish. The octopus in the Octopus Sukka was not rubbery at all, and the flavourful Bydagi chillies of Kundapur added flavour to the dish. 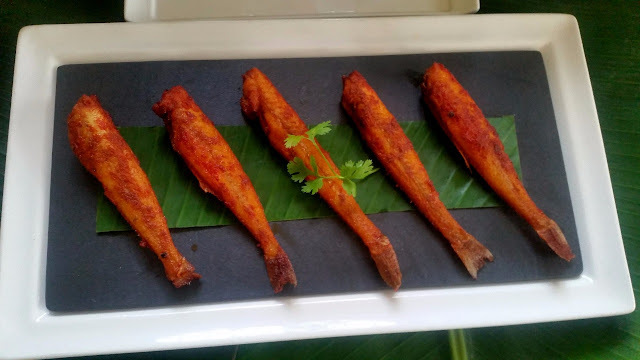 Meen Eleittad had boneless pomfret prepared in Kerala style inside a banana leaf. The red coloured Malabar masala really complimented the fish well. At a later stage, we also tried Kane Kaidina, a whole fish fried with minimum marination. This was more of a home-style Mangalorean preparation. Among the vegetarian starters, I liked the simple Oggaraneda Aritha Pundi, steamed rice dumplings with coconut and cumin flavours. 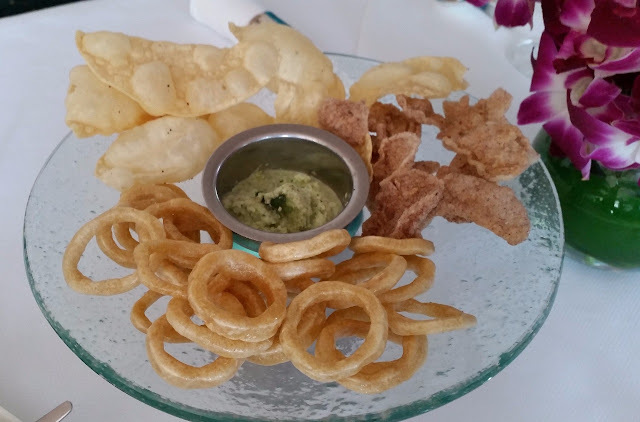 Patrade from Goa, the colocasia leaf based snack popular in Western India was another dish served. The Kerala style Rasam was a rejuvenator providing fresh energy in the middle of the heavy meal. It was main course time and four dishes were presented on a platter. The colours of three looked the same, but on tasting I found them to be completely different. Karavalli Mutton Curry, a tomato and coconut milk based preparation, was my favourite from these. The gravy in Sungatche Kodi a prawn dish in cumin and coconut paste tasted nice, but the prawn was a bit rubbery. Alapuzza Meen Curry, a seer fish delicacy from Kerala was par for the course. Appams and Malabar Parathas were the perfect companion to these dishes. Red Rice went well with the fish curry too. 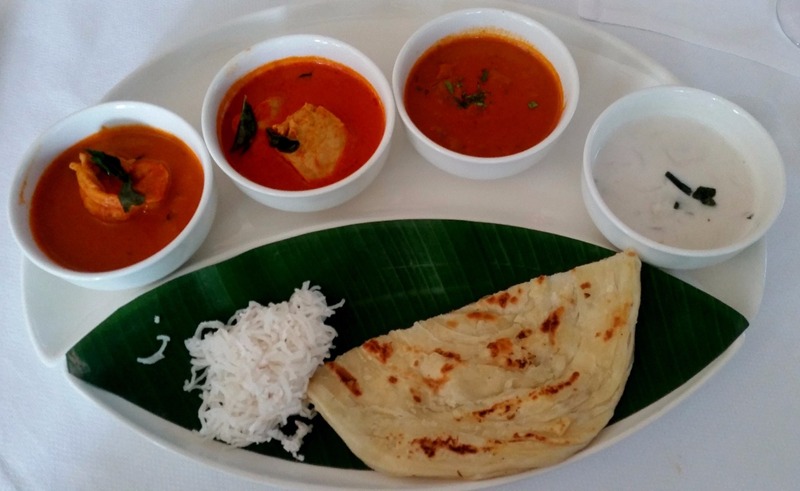 The vegetarian curry served deserve a special mention – Pachakkari Stew, a white coconut based gravy was sublime. Chitranna, a version of lemon rice was also served. 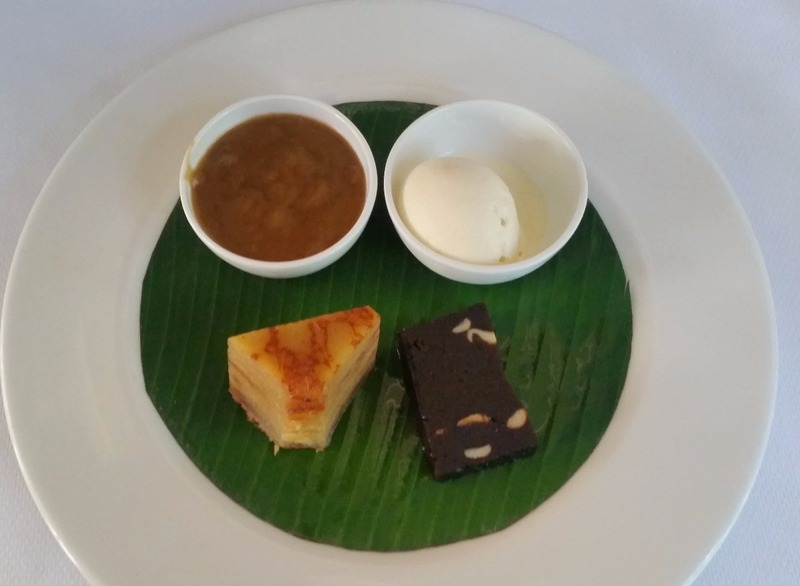 The desserts had a lot of Goan dominance – Bebinca, the layered sweet, and Dodol, a soft rice cake are familiar sweets from that region. 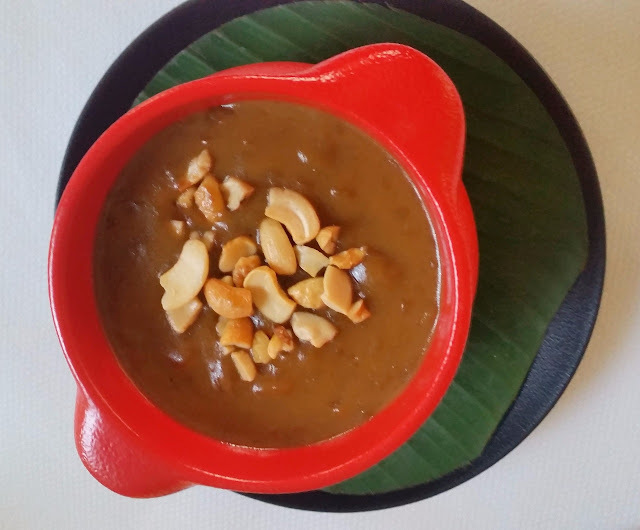 Ada Pradhaman, a popular dessert of rice, coconut milk and jaggery from Kerala is a must have from this menu. Like the Varq pop-up earlier, this is again a promotion not to be missed. I feel it is a pity that it is only for four days, but the organizers have their own constraints. It is strongly recommended for any lovers of South Indian cuisine as you can experience diverse flavours from all over the west coast. The festival is on until 29th October for both lunch and dinner. There are three Chef’s sampler menus priced at Rs 1800 (vegetarian), Rs 2200 and Rs 2800 exclusive of taxes.